Theses extra features are located in the "Inbox" tab, along side "Send A Message" and "Send Announcement". 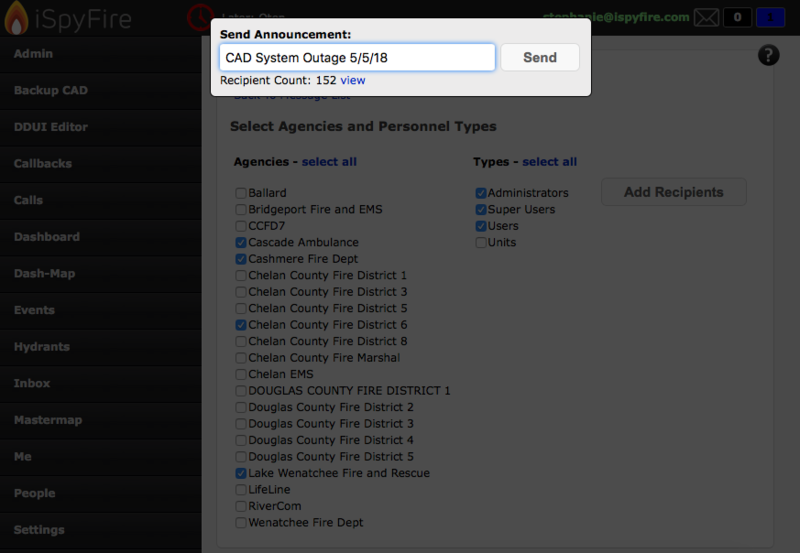 Theses features are made for the Dispatch Centers use only. 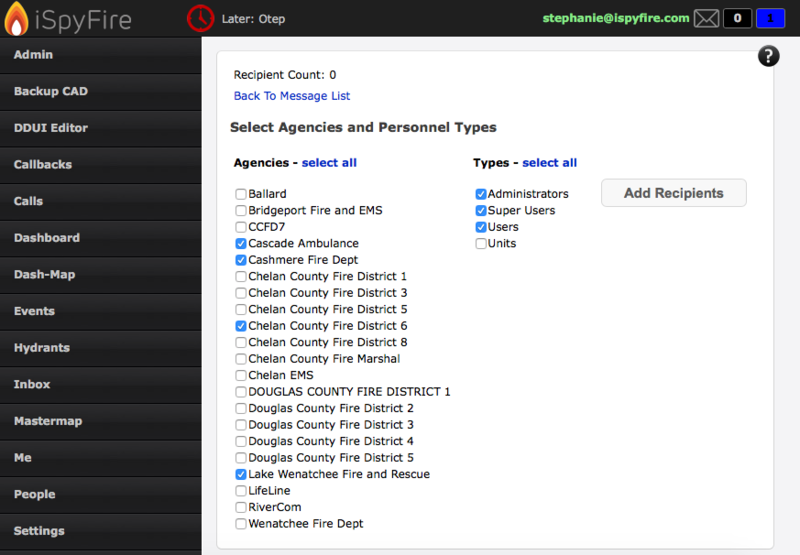 This is for sending messages to all or any agencies near you, and to certain people with in the agencies. After selecting the agencies you want, select "Add Recipients"
This pop up will show you the "Recipient Count" and allows a space for your Announcement. 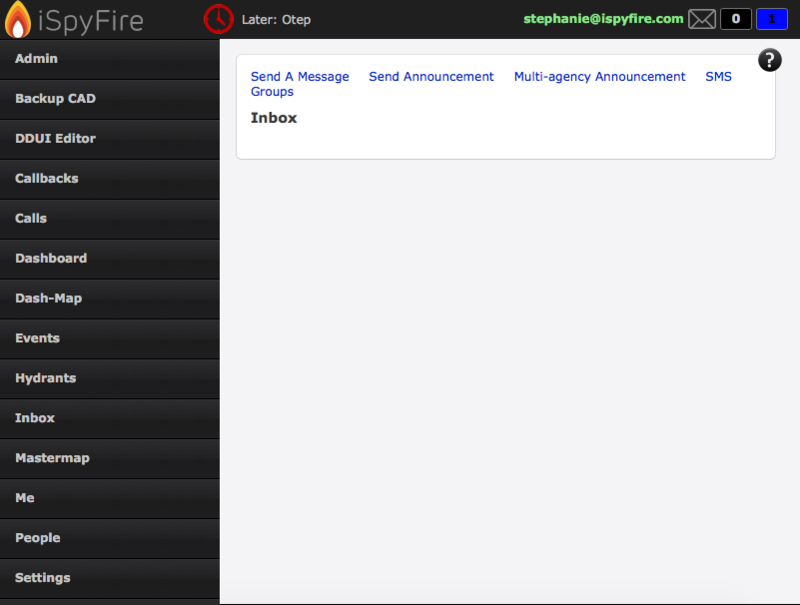 Once your Announcement is done you can select "Send" and your Announcement will be sent! This is to send messages to a person or a group of people who are NOT ISPYFIRE USERS. Such as messages to S.A.R or For Over Time and Etc. 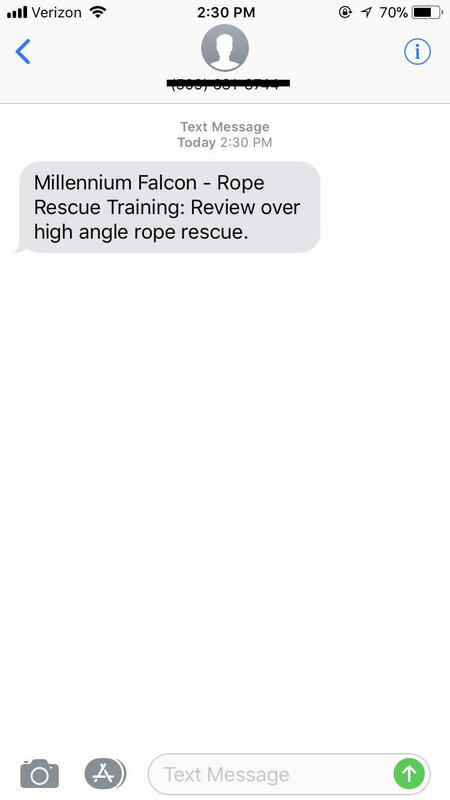 These Messages are sent as Text Messages and can not be replied to. 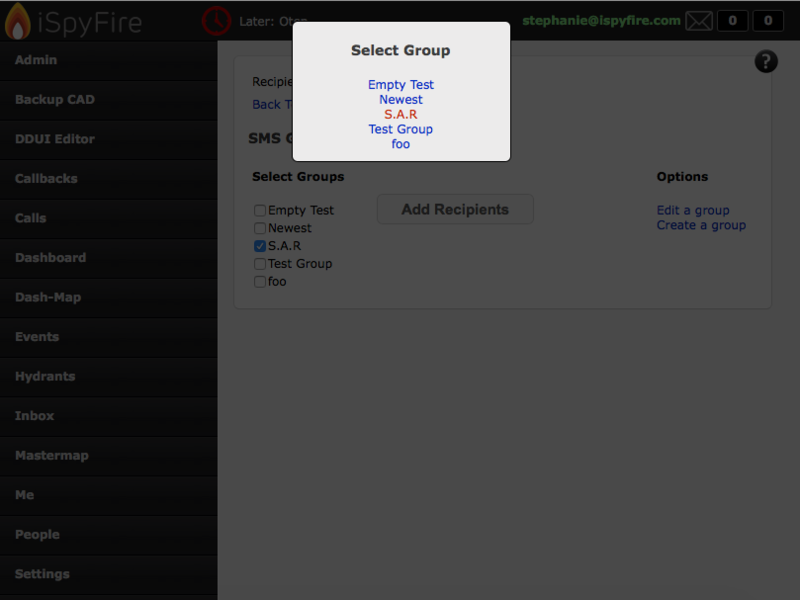 After selecting "SMS Groups" you will see this screen. 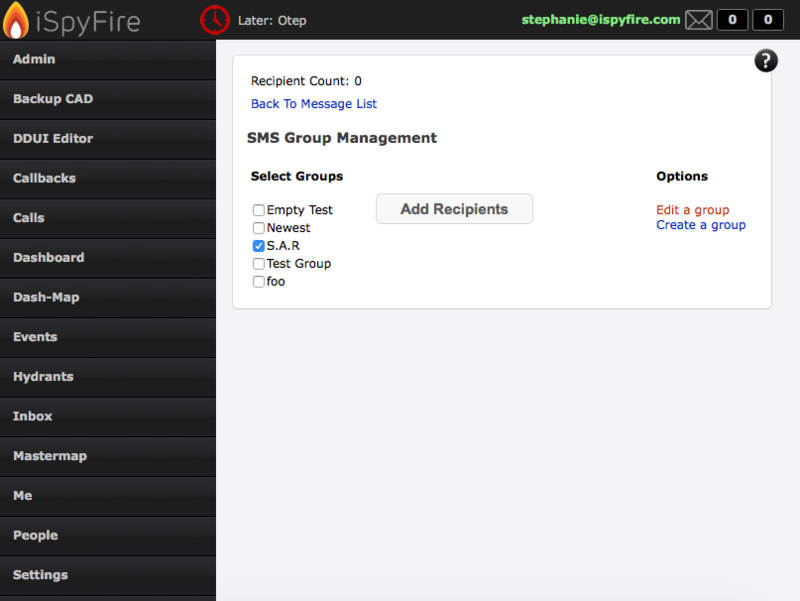 Here you can create a group, add Recipients and create a message. 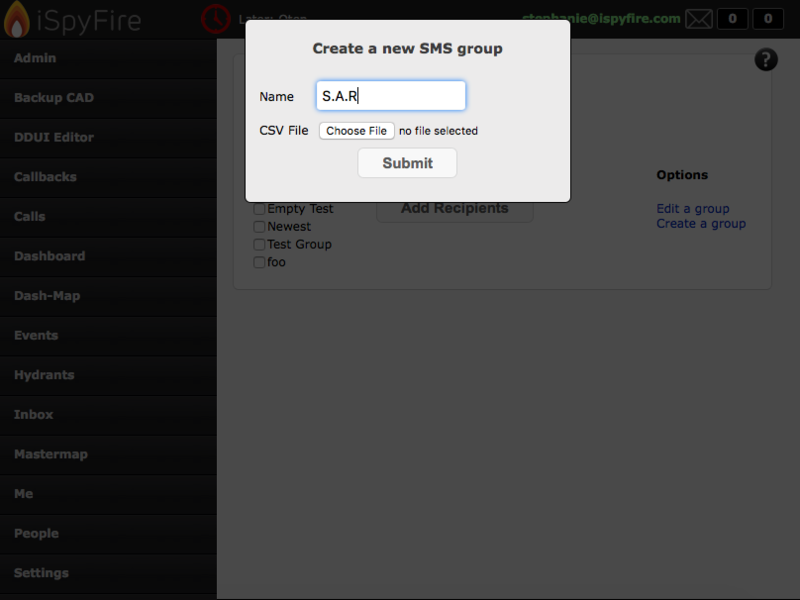 After selecting Create a Group you will see this, select a name, click "submit"
Then select "Edit a group"
Add first and last name along with Phone number. Now you see two Add Buttons. "Add" is if there is one person in the group or at the time you would like to only add one person. 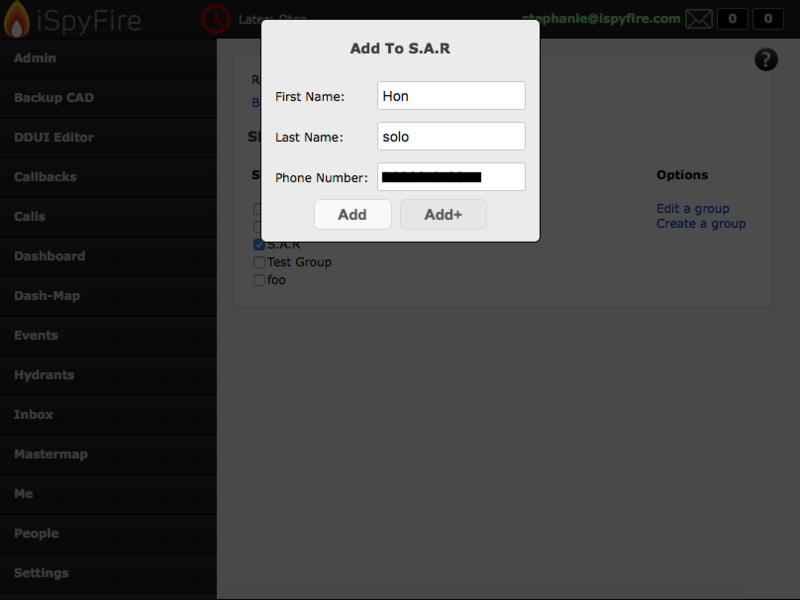 "Add+" is to keep adding people to the list, one after another. 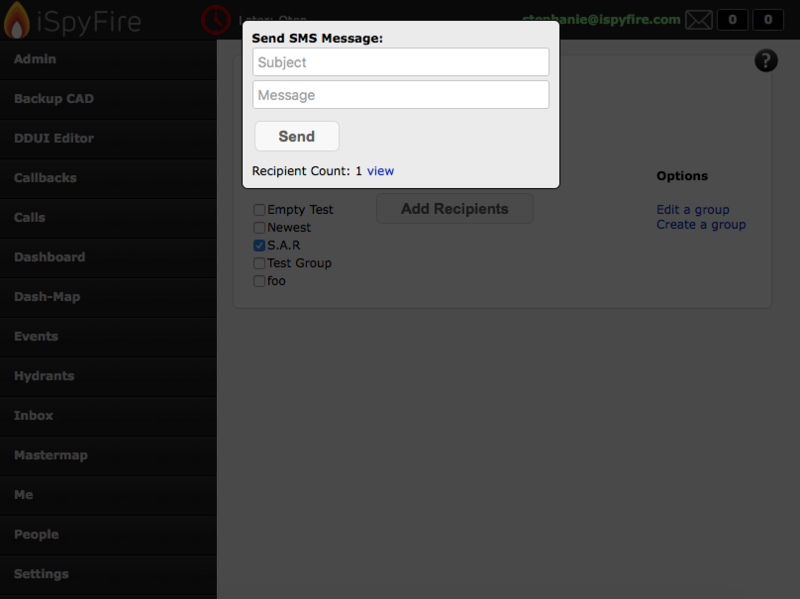 Now select the "Add Recipients" Button and this "Send SMS Messages" will appear. 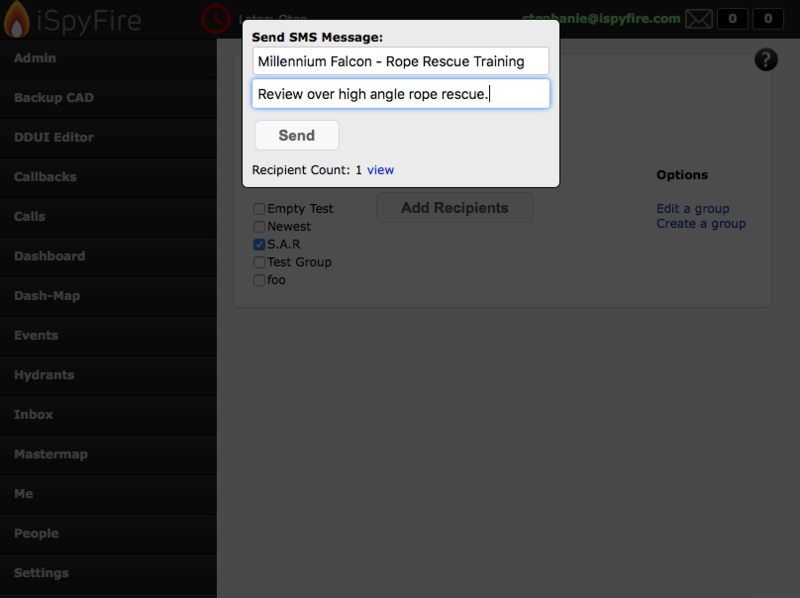 Type out the Subject and Message Then select "Send". 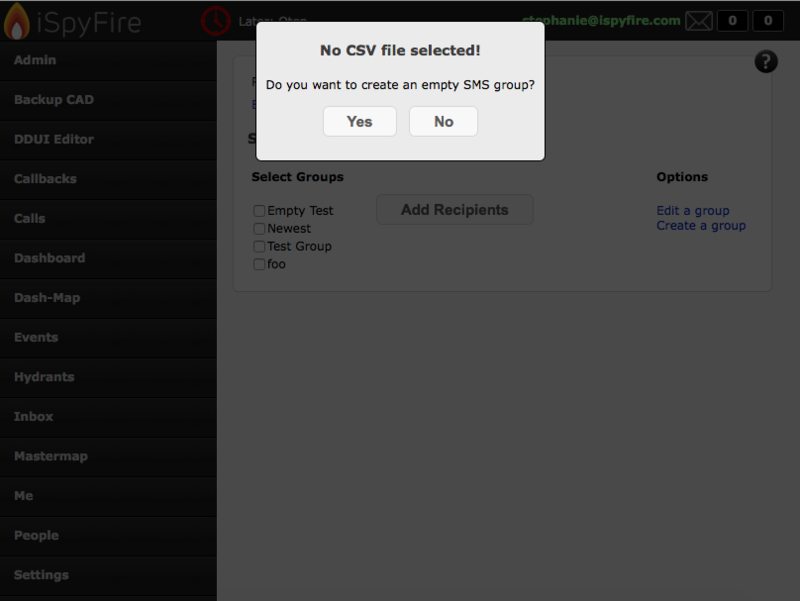 Below that, you can see in a list form the recipient count by selecting "view"
And Below is the message on a mobile device.